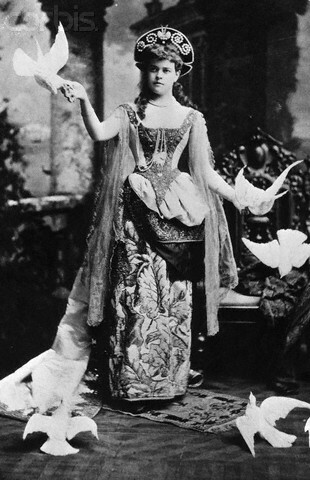 When she was known as Alva Vanderbilt, she was one of the wealthiest women in New York City. And as a young wife and mother in the 1870s and 1880s, Alva was determined to spend big bucks to secure a place for her family in the city’s stuffy, old money society run by Mrs. Caroline Astor. 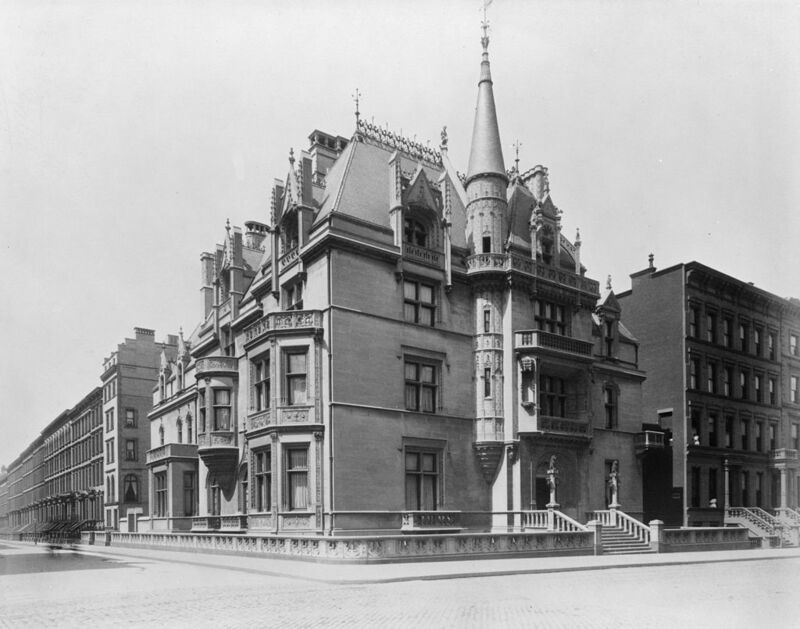 To become part of the so-called Astor 400, she built a magnificent French renaissance mansion at Fifth Avenue and 52nd Street, modestly christened Petite Chateau (below). And when she couldn’t score a box seat at the Academy of Music on 14th Street, the city’s premier opera house at the time, she convinced other new rich New Yorkers to pitch in money to build the more opulent Metropolitan Opera House, which opened in 1883. 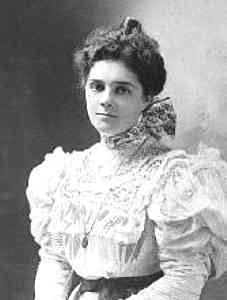 After finally breaking into formal society, she divorced her husband in 1895 and married another enormously rich man, Oliver H.P. Belmont. For the next decade, she resumed life as a society matron, entertaining and building incredible mansions in New York and Newport, Rhode Island. After Belmont died in 1908, however, Alva traded mansions and balls for activism. 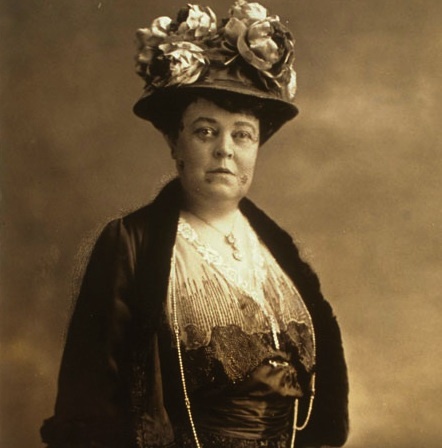 Instead of putting her money toward estates and entertaining, she began funding causes that advanced women’s rights. That year, she founded the Political Equality Association and gave millions in support of the fight for suffrage both in the United States and in Great Britain. 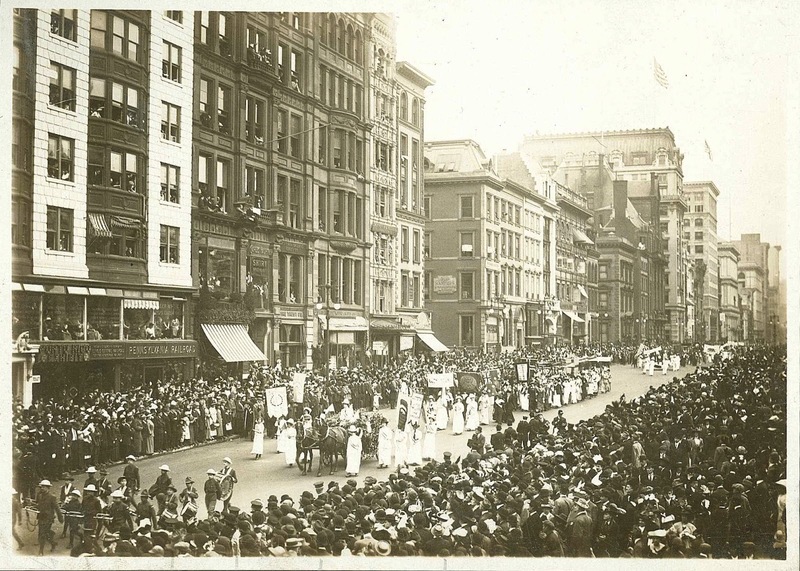 Her devotion to women’s rights expanded even after 1920. She helped support working women’s groups. The former wife of two famous capitalists even helped keep Socialist magazine the Masses financially viable. She was living in France in 1932 when she suffered a stroke. At her funeral in early 1933, friends and family draped a banner across the coffin that read “failure is impossible,” per her instructions. The woman who early in her life dedicated herself to becoming part of an American aristocracy made women’s rights around the world her lasting legacy. This entry was posted on November 23, 2015 at 7:38 am and is filed under Fashion and shopping, Midtown, Politics. You can follow any responses to this entry through the RSS 2.0 feed. You can leave a response, or trackback from your own site.